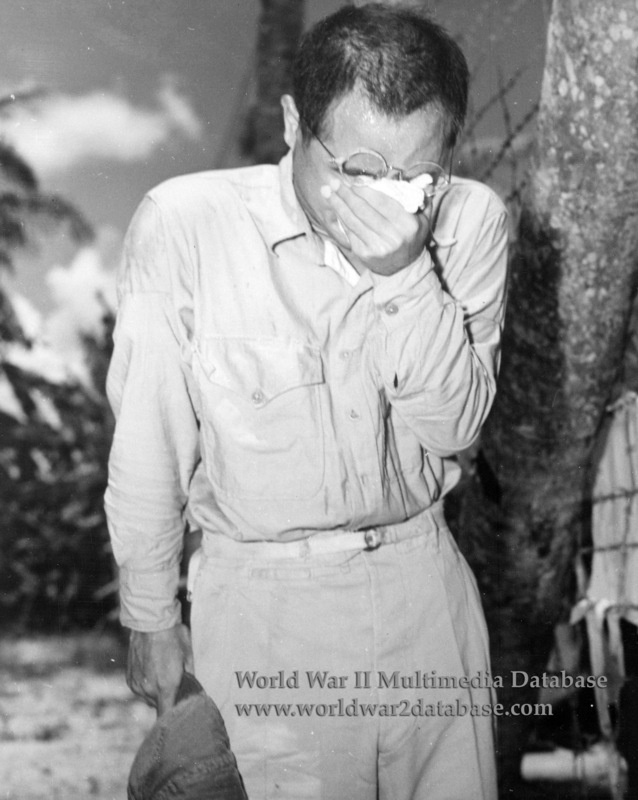 Japanese soldier cries after hearing the Gyokuon-hoso ("Jewel Voice Broadcast"), in which Emperor Hirohito read out the Imperial Rescript on the Termination of the War. Emotions in the camp ran high, as the prisoners did not expect to be welcomed on their return to Japan. Guam was a major processing center throughout the war. The number of captured or surrendering Japanese increased as it became obvious that Japan was going to lose the war. Large numbers of Korean or Taiwanese laborers were also captured. Most were repatriated by December 1945.